Take Stock in Your Beef Nutrition Program. Quality livestock supplements with balanced vitamins and minerals. Take Stock in Your Dairy Nutrition Program. Pressed blocks and loose minerals for all your dairy nutritional needs. Take Stock in the Comfort of Your Horses. Compliment your pasture with the minerals and vitamins your horses need. Goat Nutrition Worth Taking Stock In. Supplement your goat pastures with protein and mineral. Take Stock in The Needs of Your Sheep. Give your sheep what they need to stay healthy and productive. Take Stock in Your Local Wildlife. Everything from deer supplements to soil amendments to dried molasses for on-farm feed mixing. 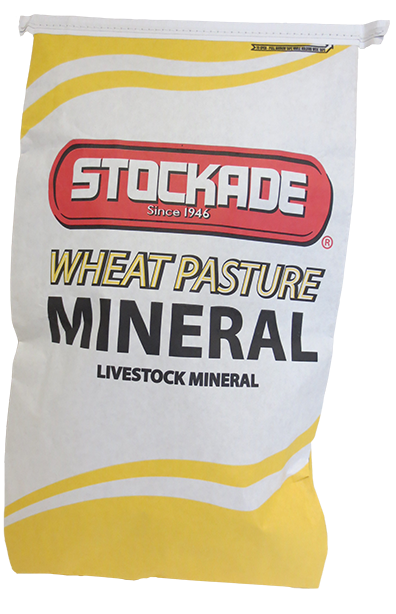 STOCKADE® Wheat Pasture BCF Mineral is specially formulated for the needs of brood cows (BCF= brood cow formula) on lush wheat pastures. 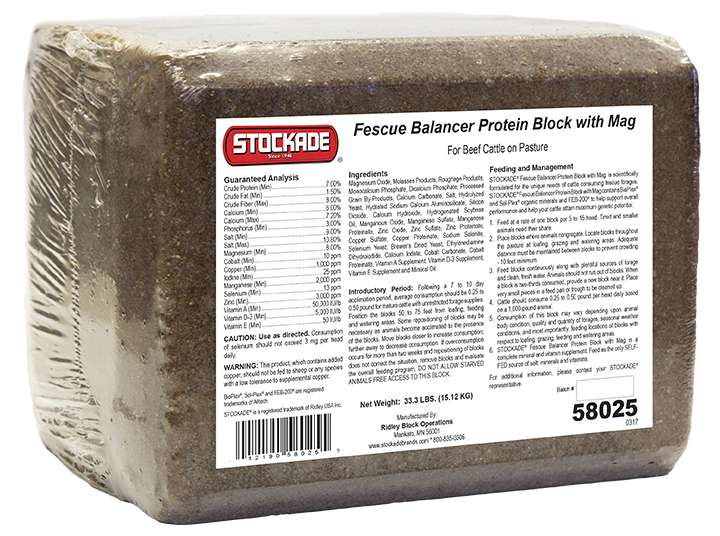 This mineral contains elevated magnesium to help protect against the conditions causing grass tetany. It also delivers recommended levels of trace minerals and vitamins needed by brood cows as they near calving and lactation. Since 1946, livestock producers across the Midwest have relied on the STOCKADE® name for consistent quality at competitive prices. The extensive STOCKADE® line of beef, dairy, equine, sheep, goat and specialty products all reflect STOCKADE® Brands commitment to quality and steadfast dedication to established nutritional principles.